With 75-80 thousand new cases reported every year, India holds the highest prevalence of oral cancers globally. India contributes to a fourth of worldwide deaths from oral cancer. Reportedly, the Indian government spends approx Rs 300 billion annually in both public and private spending on treatment of tobacco-related illnesses, accounting for roughly one fourth of overall health spending. However, the good news is that, with new emerging trends and constant inventions happening in the country, it’s easier to detect the disease. Recently, Bengaluru-based Vatsalya - Centre for Oral Health, has introduced VELscope, a first of its kind advanced oral cancer detecting device which claims to sense the disease at its early stage. The device also protects patients from the painful procedures of multiple tests. "It's also in line with our mission to provide world class technology to people across income groups and improve their standards of living,” said Dr Srivats Bharadwaj, Chairman & CEO, Vatsalya- Centre for Oral Health. Recognised by the World Health Organization (WHO), the globally recognised VELscope Vx is a wireless oral assessment device that uses natural tissue fluorescence to enhance the way dentists visualise oral abnormalities that might not be apparent or even visible to the naked eye. The VELscope Vx emits a harmless, bright blue light which is used to inspect the mouth and tongue. The distinctive blue-spectrum light causes the mouth to shine brightly due to the fluorescence. Healthy tissues fluorescence are visibly disrupted when the tissue undergoes any oral abnormalities, including cancer and pre- cancer. He further added, “With this device, we can detect oral cancer at a very early stage and initiate the right treatment to ensure speedy recovery. The patient can save himself from having to go through a series of tests to identify cancer. It is a major milestone in our attempt to bring preventive oral care to the doorstep of people." From being a standalone dental practice serving local community, Vatsalya – Centre for Oral Health has come a long way to becoming India’s first venture funded corporate entity with plans to expand its dental chain across India. The organisation has three facilities, all equipped with world class technology and adhering to International standards of practice including the swanky new 3500 sq ft centre on Bannerghatta Road, Bengaluru, which also serves as its headquarter. 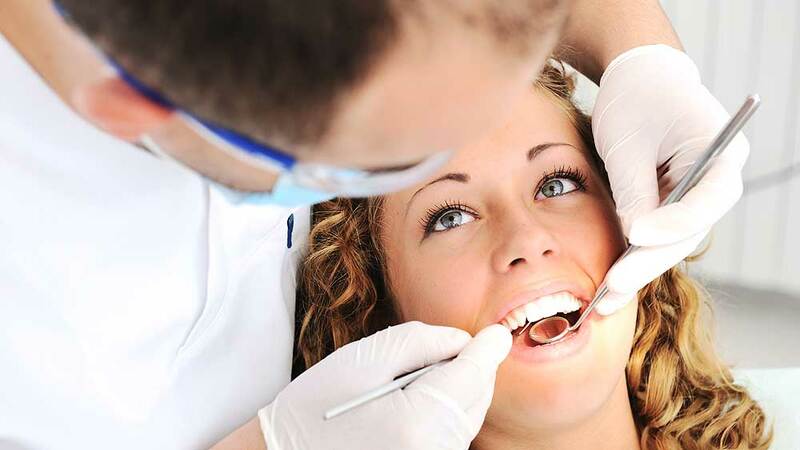 The young and expert team of doctors at Vatsalya is trained to deliver home dental care as well. Even complex procedures such as surgical removal of teeth, root canal therapy, laser surgeries, complete /partial denture prosthesis and fixed crown and bridge prosthesis can be performed in the comfort of your home. This is ideal for those who are immobile, terminally ill and those who do not have the time to visit a dentist. Ayurvedic cosmetics: Decoding new growth frontier..